Hard to believe it’s the last day of August. 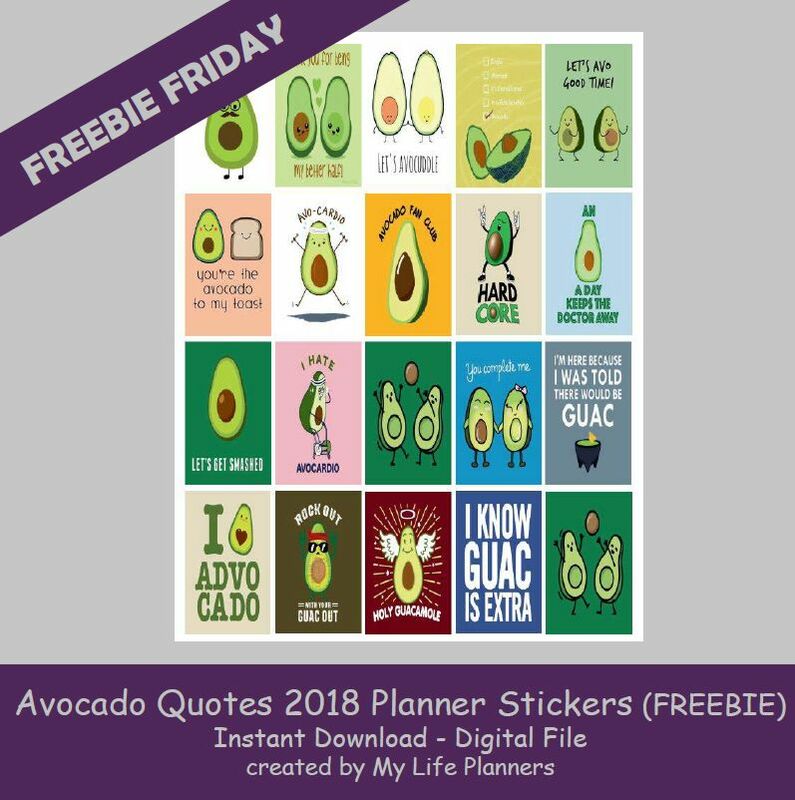 This week’s Freebie Friday features another popular phase in the planner community. Eventually I had to get around to it. It’s green, it’s considered a healthy fat and goes great with Mexican food. Wouldn’t you know it, this feature has it’s own special day too on September 16, 2018. Time to get your planner ready for Avocado Day.